The Jumbee somehow flew under my radar for quite awhile and I only became aware of it when I saw reviews popping up on a couple of trusted friends' sites. What's that you say? A Phantom of the Opera retelling? Indeed? A YA Phantom of the Opera retelling, set in the Caribbean, in the present day? How on earth have I not read this book already? Fortunately, the benevolent Holly offered to let me borrow her copy and I jumped into it with uncharacteristic abandon at a time when only a string of old standbys were doing anything for me. And that was the first mark in its favor. I had no trouble whatsoever falling into The Jumbee 's world. In fact, I gave myself over to its whimsical and deathly charms without batting an eye. Pamela Keyes' inventive retelling was just what the doctor ordered and I'm so glad I decided to give it a shot. It should be noted that, while I am not what you might call a rabid Phantom of the Opera (the musical) fan, it did sort of rock my world when I went to see it for the first time at the age of 16, and I have a fondness for the story and music that persists to this day. Esti Legard has made a rash decision, but one she feels certain is the right one. In the wake of her famous father's death, she and her mother packed their bags and moved from their longtime home in Oregon to the small house her father owned on the island of Cariba in the West Indies. One of the most lauded Shakespearean actors of his time, Esti's father's spirit is still very much with her as she gathers her courage to try out for the part of Juliet in the local high school's production of Romeo & Juliet. Everyone there knows her name. Everyone knows her father's name and watches her for signs of having inherited a portion of his greatness. Meanwhile, her mother struggles to move on and worries about Esti as she becomes more and more involved in the disturbing events taking place at the school theater. The locals have their eye on Esti and murmur words of an evil spirit known as the Jumbee returning to the theater. The sudden death of a student rocks the little town. And the return of a former childhood friend turned local bad boy has Esti's emotions in a complete tailspin, especially as she's already more than halfway in love with the elusive Alan--the man she's never once seen, but whose voice haunts her dreams. The talented Shakespeare aficionado who coaches her, who gives her confidence, and who clearly loves the stage every bit as much as she does. I read (and fell in love with) Gaston Leroux's original Phantom of the Opera long before I ever saw the musical. I loved how genuinely creepy it was and how he made the whole thing feel so real. I wondered how Pamela Keyes would take on these themes after transplanting the characters to high school and to such an unexpected setting. But, you know, it flowed beautifully. I loved the setting, with its rich history, colorful culture, and natural beauty. It was the ideal backdrop for this story of passion and drama, pain and longing. I loved Alan. I crept down the path of his dark history along with Esti, afraid what I would find, certain it would be worse than I thought. I liked Rafe and his easy friendship with Esti. He seemed a very logical Raoul and his temper and assumptions made more sense at this age and in this context. But he came through in ways I didn't expect and I have to say, somewhat dreading the ending as I was, I felt distinctly relieved at the way it unfolded. It was, in some ways, a more hopeful conclusion than this story has seen in the past. That's not to say that Ms. Keyes alters it in unacceptable ways, but merely that all three of the lead characters handled things strongly and surely and I felt that and loved them for it. As love triangles go, this is a good one. This one is not a waste of your time. The storyline is well-paced and thoughtfully laid out so that I was never bored, despite the familiar subject matter, and I enjoyed every aspect of it, especially the added bonus of all the wonderful Shakespeare. The Jumbee is a worthy retelling and I highly recommend it for fans of the original or anyone in the mood for a spooky love story with all the trimmings. I haven't read this one, but Phantom is one of my favorite stories of all time, so I'll have to give it a go! Oh, I missed this one. The Phantom of the Opera is one of my favorite books ever so I'll have to check it out sometime! I fell in the middle with this one. I liked the setting a great deal but some of the characterizations fell short for me. I'm glad you enjoyed! I'm only vaguely familiar with The Phantom of the Opera. I know I watched the movie but I never saw the musical or read the book. 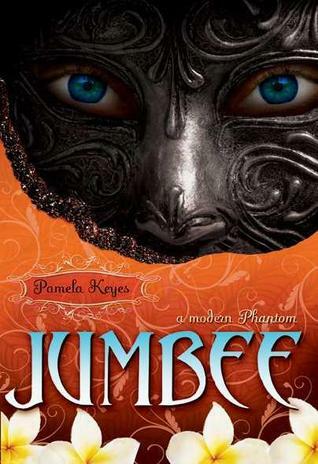 I have a copy of The Jumbee though. :) It's one of the two books that I was sent for review. I'm just not sure when I'll get around to reading. Good to know that you liked it though! That sounds very interesting. I love the musical but haven't read the book. This sounds like it is a somewhat loose retelling - i.e. acting instead of opera. I like that - honor the theme but create something original. The cover looks more MG though. Great review! I am also a fan of the original story by Leroux and also the stage and movie versions. I had not heard of this book, but after reading your review, I am definitely going to check it out! Thanks!